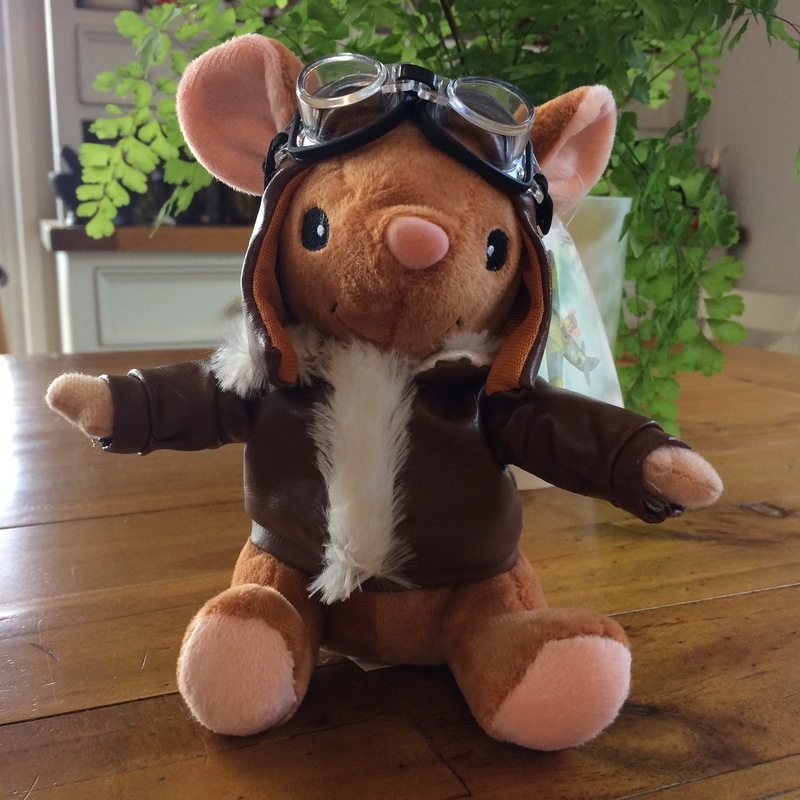 Roger Bush was the 453 Squadron Engineer Officer who built William Brambleberry’s Spitfire in ‘The Adventures of William Brambleberry: Aviator Mouse.’ In real life, he was also rather an interesting character. Roger was born in England in 1918. 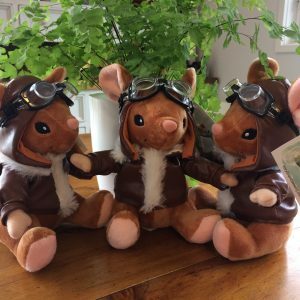 His family migrated to Sydney NSW the next year. Roger was the eldest of four siblings; two brothers, and a sister. 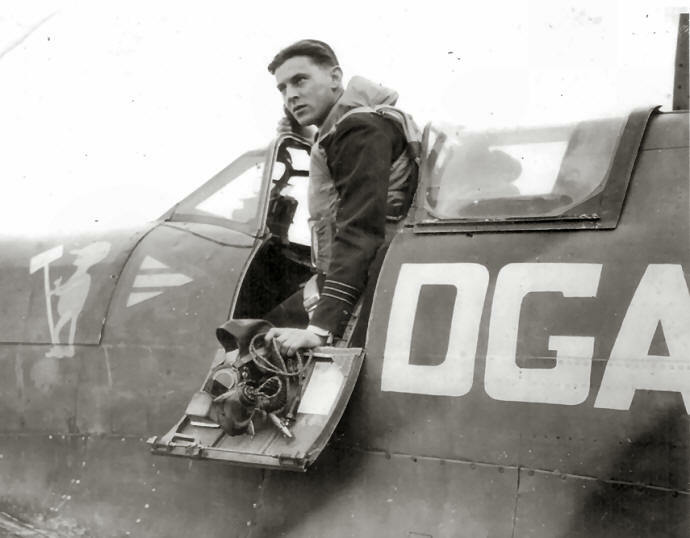 When WWII broke out, Roger enlisted in the RAF and joined 453 Squadron in England as an Engineer Officer, where he was responsible for the maintenance and serviceability of the 453 Squadron Spitfires. 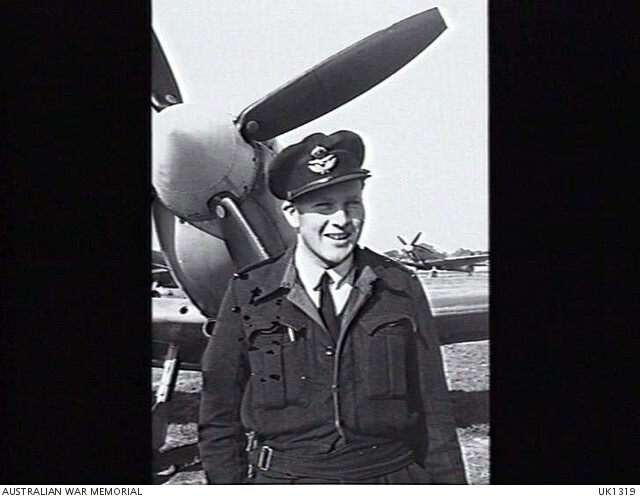 I have not been able to find out much about his service but he does have a Wikipedia entry which reveals that he met his wife while he was in England and she came back to Australia with him. They had two children, Peter and Lesley. He became an early talkback radio minister on Connections, a three-hour talkback program he devised and hosted on 2CH. Bush wrote a column for the Sydney Sun newspaper for 12 years. From the opening of the Sydney Opera House in 1973 he was responsible for the Christmas program of celebrations. If anyone has any information about Roger’s service history, I would very much love to receive it and I will update this entry accordingly. 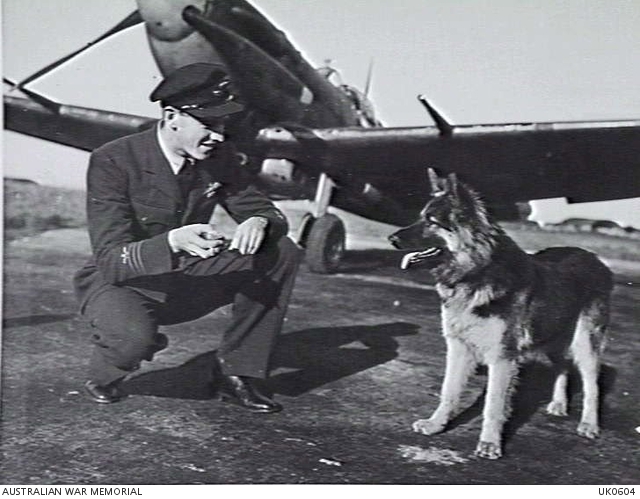 From the National Library of Australia’s TROVE website. The Reverend Roger Bush, compere of the weekly radio programme ‘In Between,’ will visit Canberra at the weekend. While in Canberra, Mr. Bush will speak to a number of church groups and will contact Canberra listeners to his programme who have written to him. He will also record interviews with young people for the programme. The youth groups will meet Mr. Bush at the National Memorial Methodist Church Fellowship Centre tonight. This meeting had been arranged by the Youth Committee of the Canberra Council of Churches. In Between, presents discussions with teenagers ranging in topic from Sydney beaches to university colleges. SUSSEX, ENGLAND. 1944-05-25. 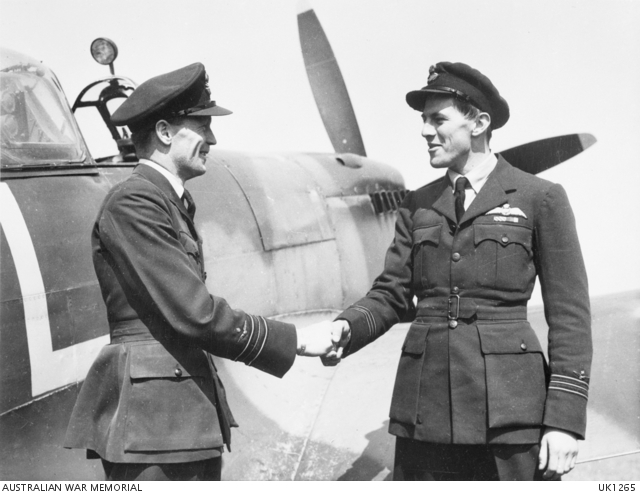 15326 FLYING OFFICER ROGER BUSH, ENGINEER OFFICER, CANTERBURY, NSW, WHO IS RESPONSIBLE FOR THE MAINTENANCE AND SERVICEABILITY OF THE AIRCRAFT BELONGING TO SPITFIRE NO. 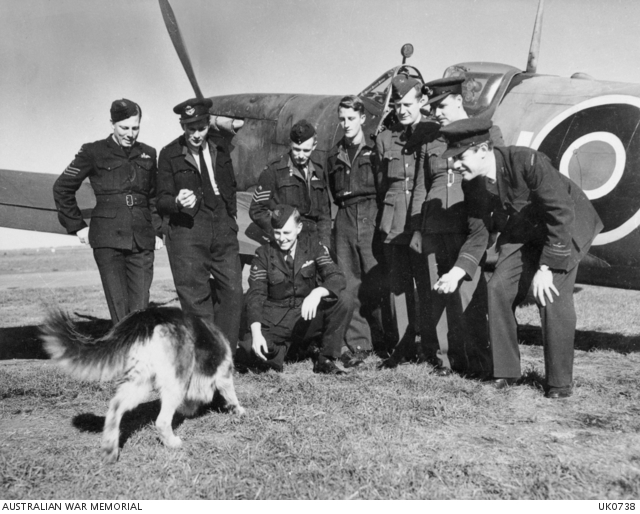 453 SQUADRON RAAF OF THE SECOND TACTICAL AIR FORCE, BASED AT RAF STATION FORD. 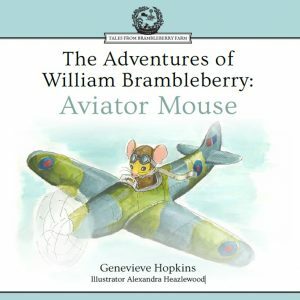 Own your very own William Brambleberry book and toy!